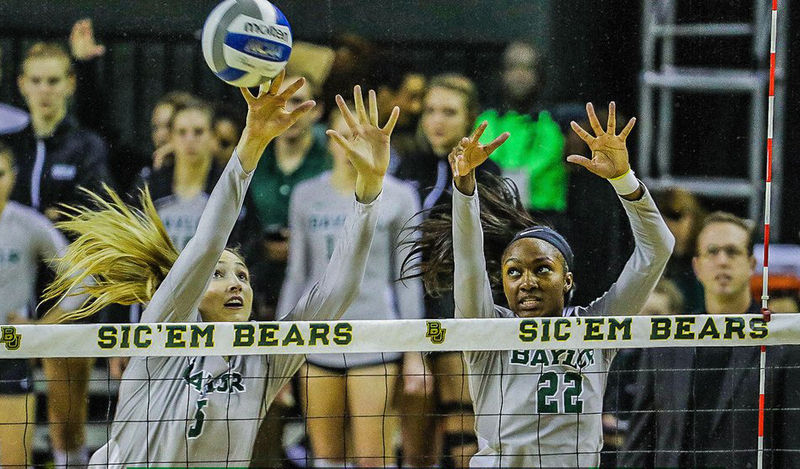 Baylor’s Shelly Fanning was a force at the net both offensively and defensively in wins over Iowa State and Kansas State en route to VolleyMob Player of the Week honors. The redshirt junior middle blocker averaged 3.86 kills and 2.43 blocks per set, while hitting .511 in the victories. The Cypress, Texas, native posted 16 kills, nine blocks and an ace while hitting .577 in a four-set win over the Cyclones. She then notched 11 kills and eight blocks, while hitting .429 in a sweep of the Wildcats. For her efforts, Fanning also was named Big 12 Defensive Player of the Week. Samantha Drechsel, Washington – So., Opp. Averaged 5.4 kills and 2.5 digs per set, while hitting .370; posted 26 kills, 14 digs and two blocks, while hitting .339 in a five-set loss against Wisconsin; notched 17 kills, six digs and a block while hitting .262 in a three-set loss to Minnesota.